There are times when we may get it wrong or we won’t show any guess at all. However, we’ve made recent improvements to provide “best guesses” for more images more often and make the guesses more accurate. 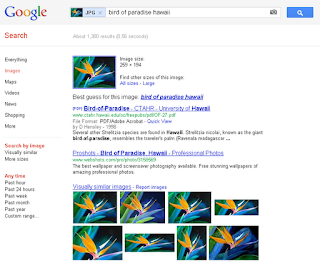 For instance, now you’ll see that the image above is not just a “flower,” but more specifically, that it is a bird of paradise, which is popular in Hawaii. With the recent launch of the Knowledge Graph, Google is starting to understand the world the way people do. Instead of treating webpages as strings of letters like “dog” or “kitten,” we can understand the concepts behind these words. 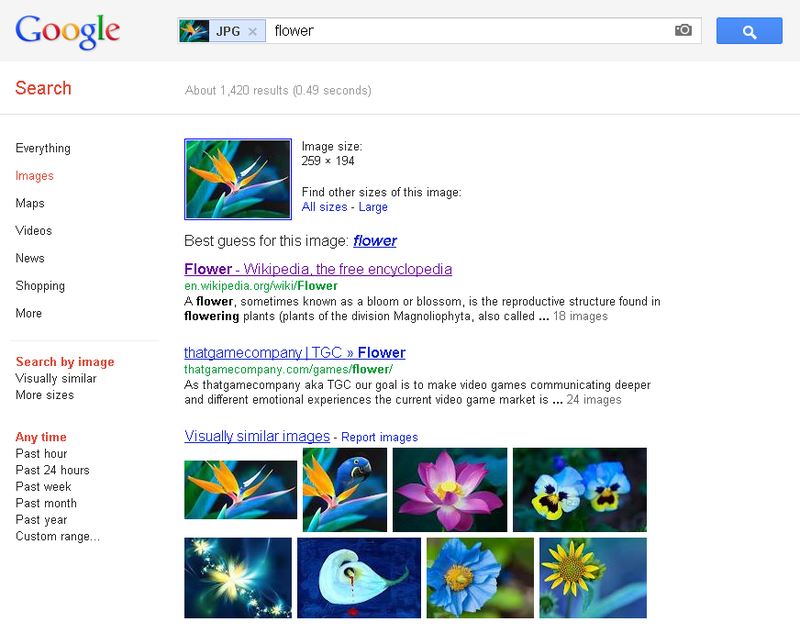 Search by Image now uses the Knowledge Graph: if you search with an image that we’re able to recognize, you may see an extra panel of information along with your normal search results so you can learn more. This could be a biography of a famous person, information about a plant or animal, or much more. 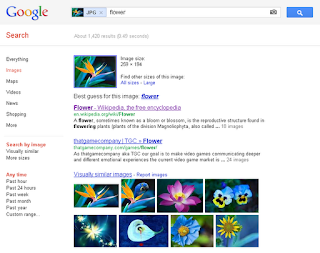 Finding more information about an image is the most common use of Search by Image. 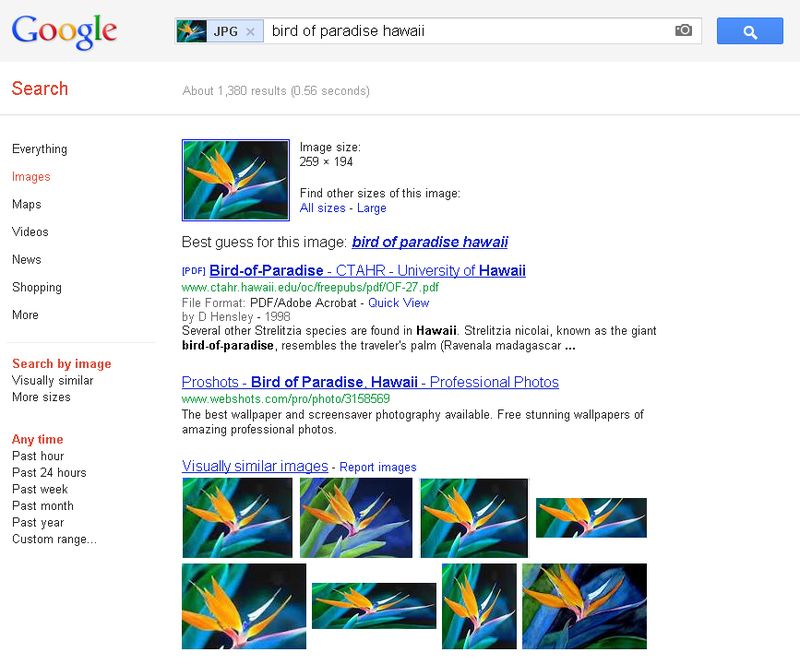 Very often this information is found on websites that contain either your image or images that look like it. We’ve made recent improvements to our freshness, so when photos of major news stories start appearing on the Internet, you can often find the news stories associated with those photos within minutes of the stories being posted. 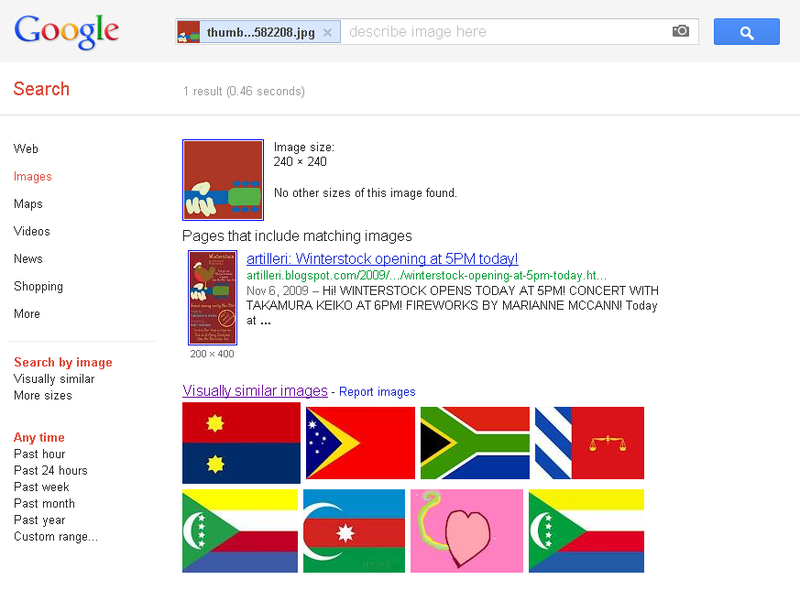 We’ve also expanded our index so you can find more sites that contain your image and information related to it. 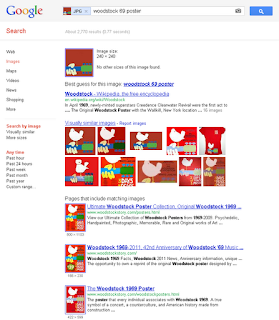 Before, you would see only one site with this image you searched for. 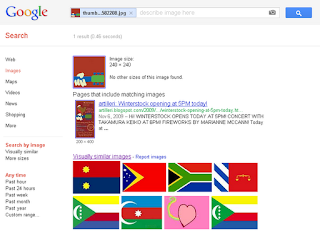 Now, you see more information and sites with that image. 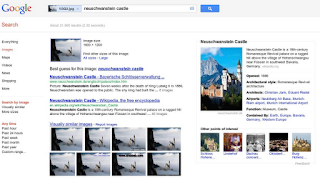 Try Search by Image by simply uploading or dragging-and-dropping a photo into the search box on Google Images. 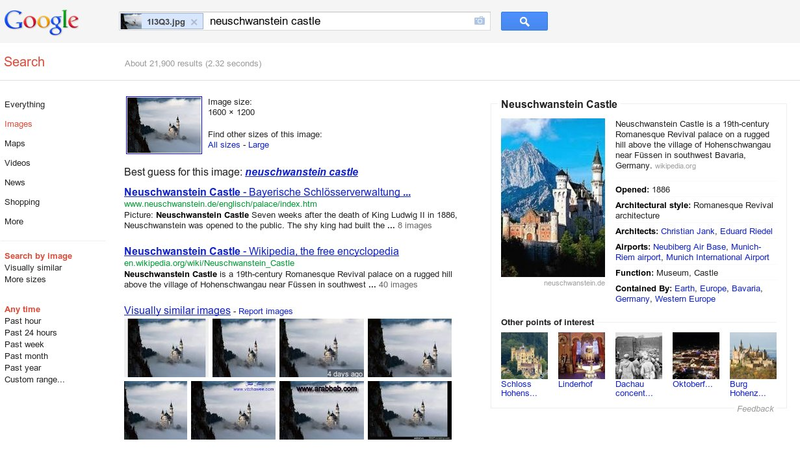 You can check out our video for all the ways you can search using an image, and you can also download the Chrome or Firefox extensions to make searching photos from any website even easier.